Disclaimer: I received a V-Etched Better Zester from KitchenIQ for my honest review. All opinions are 100% my own. 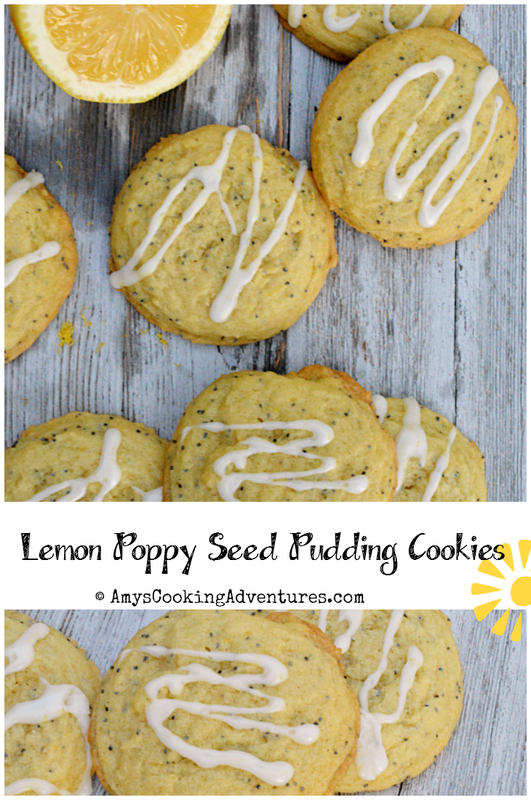 Today I made some bright summery Lemon Poppy Seed Cookies and I got to use the most amazing kitchen tool to do so! I recently received a V-Etched Better Zester from the folks over at KitchenIQ and I’m loving it! The Better Zester perfectly zests citrus without zesting the bitter white pith. PLUS, there’s an awesome measurement compartment and a built in scraper for easy, mess free zesting. Oh, and it’s dishwasher safe! Boom. The star of the new KitchenIQ™ V-etched line of graters is the Better Zester.This zester takes zesting to a new level with its innovative design and features. The V-etched Zester blade is made up of over 300 tiny V- shaped teeth and is covered with a non- stick coating. The food- approved coating allows the zester to smoothly glide across the surface of all types of citrus, while finely zesting the outer layer of skin and not the bitter pith. The Better Zester includes a "fresh zest" storage container with squeegee. 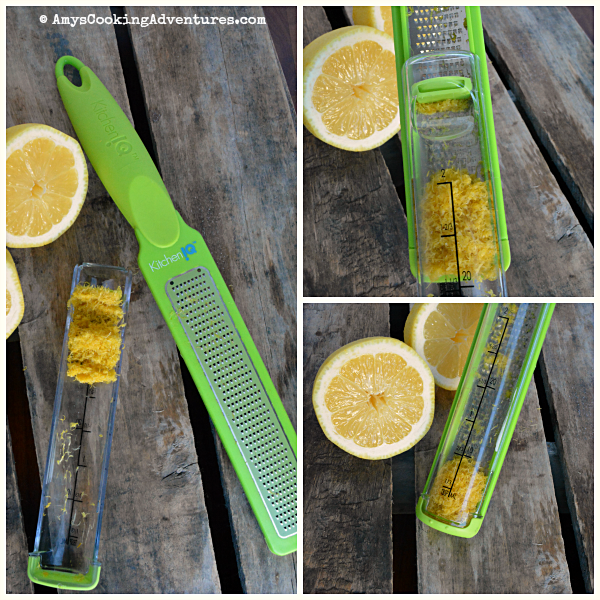 This additional accessory gathers the fresh zest as it is grating and the squeegee helps remove the moist zest from the back of the blade. The ergonomically shaped kitchen tool features a non-slip tip and soft touch handle as well as a reusable protective cover. The Better Zester is available now at specialty retailers nationwide in Stealth Charcoal Gray or Zesty lime Green. Okay, now let’s talk delicious cookies. I decided to start with my basic pudding cookie recipe. I considered using lemon pudding in the mix, but I’ve found that sometimes flavored puddings can come across too strongly. So I stuck with vanilla pudding, using a combination of lemon zest, lemon juice, and lemon extract for the flavoring. The resulting cookies for soft and tender with a nice kick of lemon flavor without being cloying – they’re perfection! Preheat the oven to 350 degrees F and line baking sheet with parchment or silicone mats. Place the butter & sugar in the bowl of a stand mixer and beat until light and fluffy. Add the pudding and mix until combined. Mix in the eggs, zest, and lemon extract. Slowly mix in the baking soda, salt, and all purpose flour. Stir in the poppy seeds. Use a medium scoop to drop cookies onto the prepared baking sheets. Bake for 12-14 minutes or until the edges of the cookies are lightly browned. To make the drizzle, stir together the lemon juice, powdered sugar, and a pinch of lemon zest and stir until smooth. Pour the drizzle into a piping bag or zipper bag with a small cut on one corner and drizzle on the cookies. Open to Continental US residents 18 years or older. The winners will be chosen by rafflecopter and announced here as well as emailed and will have 48 hours to respond or a new winner will be chosen. This giveaway is in no way associated with Facebook, Twitter, Google+ or any other entity unless otherwise specified. We cannot be responsible for items lost in the mail. 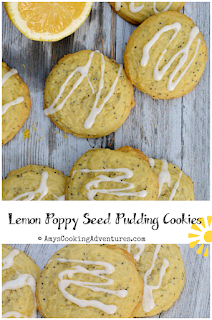 Lemon Poppy Seeds Pudding Cookies are perfect for summer! Preheat the oven to 350 degrees F and line baking sheet with parchment or silicone mats.Place the butter & sugar in the bowl of a stand mixer and beat until light and fluffy.Add the pudding and mix until combined.Mix in the eggs, zest, and lemon extract.Slowly mix in the baking soda, salt, and all purpose flour. Stir in the poppy seeds.Use a medium scoop to drop cookies onto the prepared baking sheets. Bake for 12-14 minutes or until the edges of the cookies are lightly browned. Cool completely.To make the drizzle, stir together the lemon juice, powdered sugar, and a pinch of lemon zest and stir until smooth. Pour the drizzle into a piping bag or zipper bag with a small cut on one corner and drizzle on the cookies. 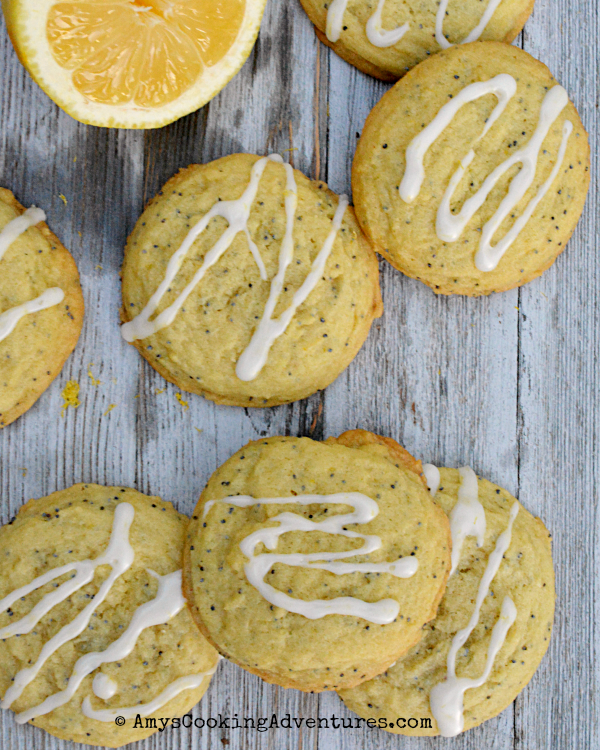 Lemon/Poppyseed is one of my favorite flavor combos. 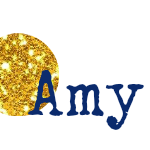 These sound wonderful, Amy. 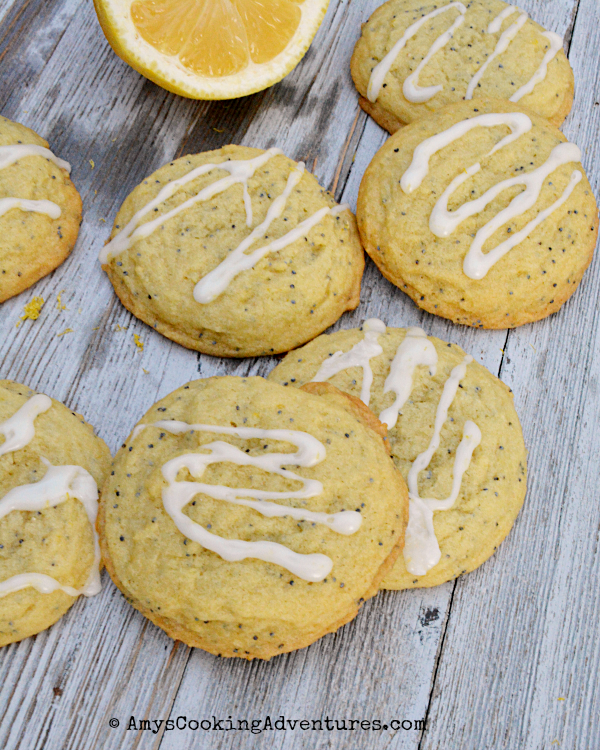 I love lemon flavor cookies​ and am tired of recipes not having much flavor. This recipe sounds perfect! I can't wait to bake! Why did the witches' team lose the baseball game? My sister bet me a hundred dollars I couldn't build a car out of spaghetti. You shoulda seen the look on her face as I drove pasta! Daughter- I can't see when I close my eyes..
Q: What is the difference between a cat and a frog? A cat only has nine lives but, a frog croaks every day. Knock, Knock. Who's there? Bacon. Bacon Who? I'm bacon a cake for your birthday.